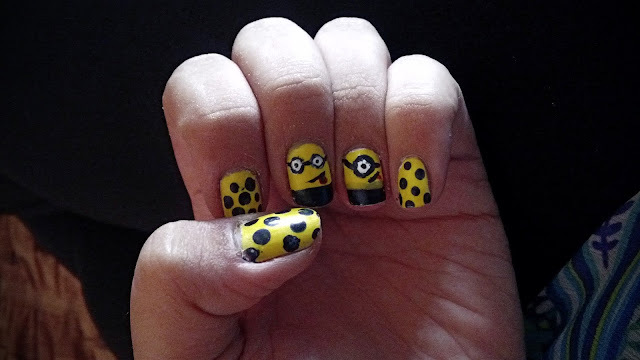 Nails of the Week: Minions! I cannot wait for Despicable Me 2 to come out in Lebanon (August 1 in case you're wondering). I had some free time yesterday and since I hadn't done anything crazy with my nails, I decided to recreate a minions inspired nail art pic that I'd seen on Instagram. It's not the cleanest nail art I've attempted, but I think the outcome with pretty cute.